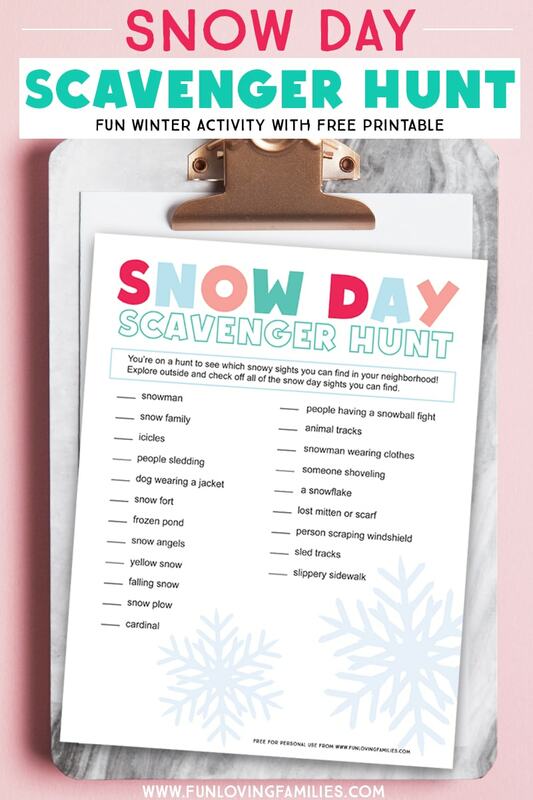 Bundle up the kids and take them on a snow day scavenger hunt with our printable scavenger hunt list. How many items can you find? Fun winter activity for kids, and a great way to get the kids outside on a snowy day. I’m a sucker for a scavenger hunt lists, and our upcoming forecast of snow inspired this snow day scavenger hunt list for kids. There are always plenty of fun things to do on a snow day. But if the usual activities start getting old, then this scavenger hunt will shake things up a little. I really wracked my brain coming up with this list, but if I missed anything just add it on! Or, tell me in the comments and I may edit the list to include more ideas. 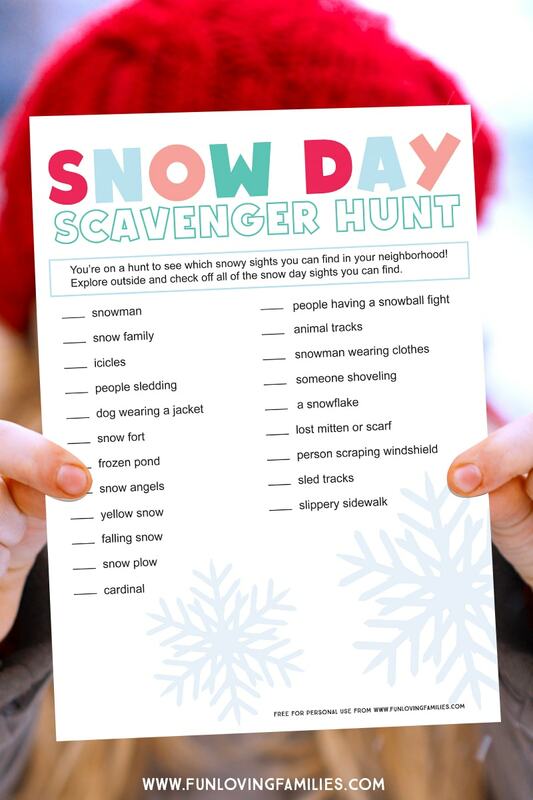 Before you take your scavenger hunt list out into the snow, I would suggest covering it with a clear page protector so that it stays dry.If you have older kids, you could print out a sheet for everyone and have a race to see who can spot the most items on the list first! This printable is for your personal, non-commercial use only. Thanks and enjoy! Sharing a link to this post with your friends on social media helps keep this blog going! Thanks for your support!